Businesses that want to remain competitive within their industries need to rebuild their organizations from the bottom up. Once upon a time, employers could snag the best talent by offering up a familiar recipe: an upgraded title and a bump in pay. Today, the recipe has changed and companies are struggling to figure out what the new ingredient list entails. Millennials have a different set of priorities, and this shift is forcing employers to either adapt or risk increased issues retaining and recruiting top talent. That’s not to say that competitive pay and impressive titles mean nothing. They can, in fact, still prove a meaningful competitive advantage. But those employers that couple those elements with a focus on improved transparency, work-life balance, and flexibility, are the ones that are having the easiest time attracting and keeping top talent. There was a time when employees swept whatever turmoil they were facing in their personal lives under the carpet in favor of keeping up appearances at work. Now we know, however, that when employees feel more valued and cared for at work, when they’re treated as individuals with emotions and challenges inside and outside of the workplace, their performance increases and turnover decreases. When employers ignore employee challenges and rule with an iron fist, it negatively impacts morale and your corporate culture, setting off a chain of events that make it impossible for organizations to operate at peak performance. Employers should strive to build relationships with employees and shape policies and initiatives with an eye toward emotional intelligence. Many of the most cutting-edge, successful companies are already doing this and doing it well. Google, for example, offers mindfulness training courses that teach emotional intelligence techniques alongside stress reduction and communication skills. Increasingly, employees are seeking out flat organizations that champion open communication. In this organizational structure, hierarchies are less pronounced, all employees are well-informed, everyone has a voice, and employees are given ownership over their domains, regardless of title. Millennials want access to information, and those companies that are willing to share the most information – good and bad – will earn this generation’s trust and allow them to feel that they’re part of the conversation and, ultimately, the solution. Companies especially need to commit to new levels of honesty and transparency in their recruitment efforts. With the advent of sites like Glassdoor and Kununu, it’s easier than ever before for prospective employees to find out what it’s really like to work at your organization, and they’ll base their employment decisions on intelligence gathered from these sites and other online forums that serve as sources for authentic information. Therefore, it’s best to be straightforward about strengths and weaknesses upfront, and if your organization is facing backlash or unrest due to certain policies or shortcomings, institute initiatives to address those problems as soon as possible, so you can share that information during the hiring process when appropriate. Millennials not only want to work for organizations that treat them fairly, they’re looking to partner up with companies that are actively striving to make the world a better place. Companies need to stand for more than their bottom line, and address environmental or socioeconomic issues within the community, as well. Just as millennials are willing to pay more for products produced by brands dedicated to sustainability, they’re also partial to sustainable living arrangements and sustainable workplaces. Displaying social responsibility encompasses ensuring that you have a robust corporate giving and volunteerism program in place, and adopting smart office technologies that reduce energy use and lessen your carbon footprint. 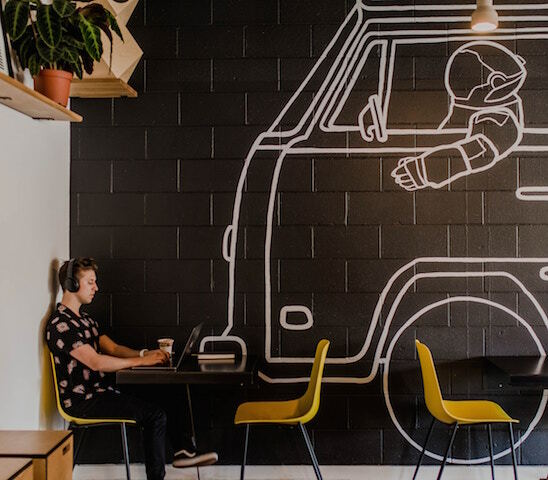 Flexible organizations put the needs of employees first, and one way to show that your organization is flexible is to join the remote work revolution. Employees don’t necessarily need the ability to work remotely all the time, but they should at least be given the opportunity to do so at certain times, whether that be 1-2 times per week or days when bad weather, school delays or cancellations make it impractical to get to the office. But, the more you trust your employees to work remotely, the better. It not only reduces your costs, it builds goodwill between management and employees, and labor experts say that employees between the ages of 23 to 34 years old may not even consider a job unless it offers a remote work option. The trick is to have a strategy in place that keeps remote employees feeling engaged and part of the team. America now holds the title as being the most overworked country in the developed world. We work longer hours and fall prey to more stress-related illnesses than our European and Japanese counterparts. A recent study showed that 41 percent of American workers don’t take a single vacation day all year. This isn’t a sustainable model, and millennials are standing up and saying so. Companies that want to woo a highly skilled, younger workforce need to reevaluate their benefit offerings and establish a strong focus on work life harmony. Millennials are the most technologically savvy generation yet and are less likely to suffer through laborious, manual processes just because that’s the way it’s always been done before. Millennials are looking for work opportunities where employers are open to leveraging new technology solutions to improve speed and efficiencies. The new generation places a big emphasis on working smarter and discovering new methods to complete tasks, automate processes, and innovate. They are also 2.5 times more likely to be early adopters of new technology than older generations. Employers can better retain talent and recruit new employees by leveraging a willingness to continuously explore technology adoption as a competitive advantage. Today’s marketplace requires companies to keep pace with technology anyway, meaning that employing millennials as digital stewards is not only good for satisfaction and morale, but crucial to your bottom line. By 2025, millennials will make up 75 percent of the working population. As Generation Y displaces baby boomers in the workplace and climbs further up the corporate ladder, their influence will continue to grow, and business culture will change as a result. We are at the outset of a new corporate era. One in which the largest pool of employees dictates the values that successful organizations need to adopt to thrive in the future. Transitioning to a millennial-friendly culture is about preserving and improving your organization’s talent pool, but it’s also about adopting the competitive advantages and advancements necessary to be successful in the digital age. The sooner we begin the work, the better off we’ll be. Jake Croman is an entrepreneur and philanthropist who currently attends the University of Michigan. Croman's networking experience and logistical know-how helps him raise funds for charitable organizations, including his own, The Eddie Croman Foundation.